Do you trust your essential oil is 100% pure? What does “Therapeutic Grade” essential oils truly mean? Consider the following questions. Have you ever had a dream that turned out to be a premonition and left you curious as to why you had the dream? Is there only one right religion? Does God exist? What about the possibility of a Goddess? An atheist believes in neither, but does that make him or her right? Do spirits or guardian angels exist? Have you ever lost a loved one and been concerned for their soul or spirit? What are your thoughts about reincarnation? A harder more complex question is why do you believe what you believe? Now, truly reflect on that question and think about it. How did you develop the belief system you currently hold? Is your conviction and faith unwavering? Do you truly believe that your religion or faith is the only way to eternal salvation and any other practicing faith is doomed to Hell? My favorite question is “How do you prove it?” Maybe you are a soul searching for spiritual enlightenment or conviction and faith for that very reason. Maybe you believe what you do because a certain book says to. Many were just born into a family that believed in a specific religion and so they were brought up with those belief systems. The problem with that quite often is those belief systems are conditioned and often lack a true spiritual connection. This results in a lack of true conviction. Now I am not trying to offend or question anyone’s faith or conviction! I just want you to be true to yourself and really question the spiritual connection and conviction you have or don’t have in that faith. How would one prove the existence of God, angels, or spirits? For the record, “Because the Bible or any other book says so” is not the answer I am looking for here. Obviously, it would be difficult to gather empirical evidence. Many people have to see or experience something first hand before their belief system is altered or even shaken. When is your perception of reality affected? Does it happen by coincidence? Is it when your friends or family tell you that something does not exist or isn’t real like Santa or the tooth fairy? I would suggest the truest answers lie deeper within us at the point where knowledge and faith confront each other. The experiences in our lives are like a river of knowledge for us to tap into for our own sense of reality and faith. From there a bridge of faith is built that gives us our convictions. Each one of us has an individual source of knowledge and bridge of faith. Some of us just build different bridges than others. The bottom line is we all build a bridge of some kind. Everyone has free will to choose and believe in whatever faith they so choose. Please consider these questions. If Spirits or Angels were trying to reach you, would you sense them? Do you find that concept ridiculous and crazy? Would you have the will or courage to believe in these psychic-phenomena? If not, what proof would it take to change your mind? Is magic real? What is the true source of intuition and instinct? Should we always trust or follow our own gut feelings? Are the thoughts in our heads always our own or is it possible at times we are being reached by higher levels of consciousness? Do some people or possibly everyone really have psychic abilities? What if you could meet someone who could enlighten your perception of reality through proof and not trickery? What if it were possible for that someone to help you see visions of the future and then those visions came true? What if then, you could hear voices of deceased loved ones? Would you embrace possession of such skills and knowledge as a gift or a curse? Would you want to or even dare to meet a Master of such skills? Perhaps fate could intervene and a chance meeting between you and such a kindred spirit could just happen like it did for me. Actually, if you are reading this, then fate and your kindred spirits are already trying to enlighten you. Man has been searching for the answer to these questions since the beginning of time. Maybe, just maybe, our answers to those questions have been conditioned by society over long periods of time. Again I would suggest the truest answers lie deeper within us at the point where knowledge and faith confront each other. Many people pray and yet to most that is a very acceptable idea. Most don’t consider those people crazy to believe and pray to something that can’t be seen. If a person believes in a spirit world or that he can communicate with it, is he crazy or schizophrenic? Should they be committed to a mental institution for believing in what they can’t see? At what point, do you draw the line and choose to believe or not believe? Is it in the interpretation of another’s belief system that might be contradictory to yours or incomprehensible? Is it from reading a book written by man that was supposedly passed down from God? Or is it from your own personal experiences that you draw your faith and personal convictions? What bridge of faith have you built? Today, I follow the path of a practicing shaman and the bridge that I continue to build is a story of spiritual confrontation between conventional religion, knowledge and faith, and a whole lot of mystical experiences in between. I was born into a family with Christian based beliefs and I feared the concept of a Christian Hell. Life is funny and ironic in the way it will always test us or guide us to the choices that shape our lives. That does not happen by coincidence. We all have kindred spirits or guiding angels helping us on our spiritual and karmic path. They are there loving you and helping you whether you know it or even believe it. My kindred spirits were there guiding me and they taught me what Hell is and what it isn’t. I have crossed the Rainbow Bridge and I know what I choose to believe and you have the free will to choose for yourself. As the saying goes, “The truth just might be stranger than fiction”. 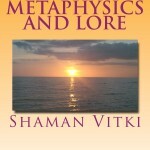 Metaphysics and Lore has information on psychic reading using Tarot cards, clairvoyance, numerology, and the runes. It also includes information on what Wicca is and explains misconceptions about the craft. This book is great for any person looking for spiritual enlightenment from spirit guides or wanting to learn psychic reading and increase his or her psychic awareness. Psychic ability or psychic phenomena is a power and an ability that everyone has! It is like a muscle and the more it is used the stronger it gets. It is also great for anyone wanting to learn more about the runes and the spiritual magic and energies they possess. 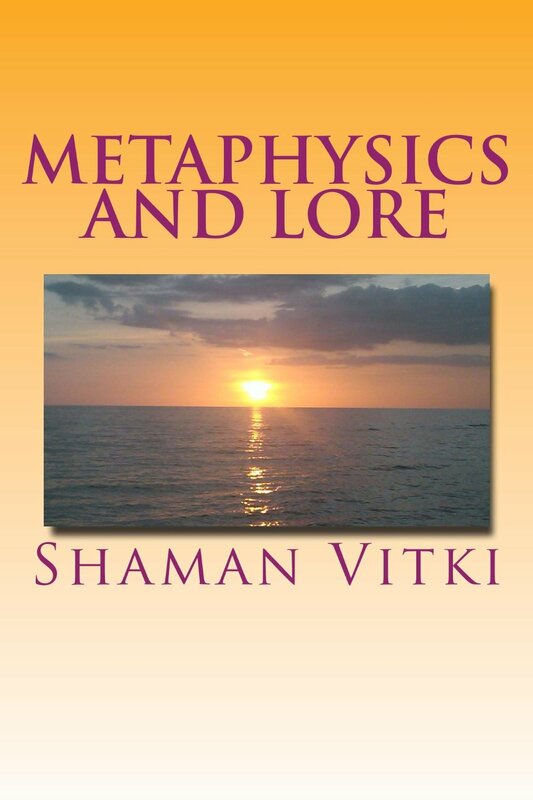 This book is a great resource on metaphysical enlightenment! Share book reviews and ratings with New Age and Metaphysical Self Help, and even join a book club on Goodreads.